Welcome to Walter L. Cohen College Prep High School! Whether you’re new to Cohen or a returning student, I hope to make this school year your most successful one to date. While this will be my first year serving as Principal at Cohen, I have a wealth of experience working in high schools. 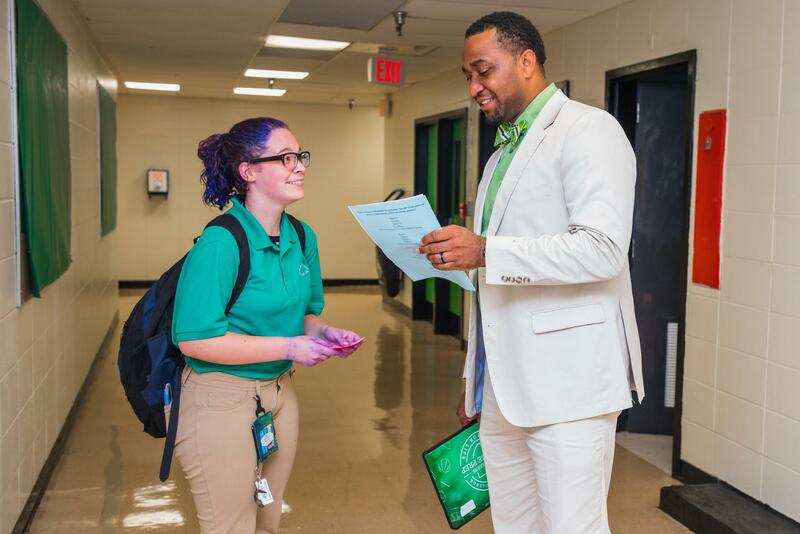 I’ve worked in high schools for twelve years with 5 years of experience as a high school principal in New Orleans. I plan to use my prior experiences to implement strategies that will help you improve as a student and the school as a whole. I’m very excited for students and parents to experience some of the new initiatives we will implement to enhance the high school experience. We’ve updated the uniform and discipline policies from previous years to create an environment focused on decreasing the amount of time students are missing instructional minutes. Students will have the benefit of an increased selection of elective courses, clubs and groups as we transition to a holistic approach to educating students. Additionally, we will increase the frequency of student celebrations and invite families to join us in celebrating student achievements. Other important rules, dates and expectations can be found throughout the family handbook. teachers or members of the leadership team. I look forward to partnering with you to make this an exciting and successful year for our students. Thank you in advance for your support and commitment.